Out on the terrace of the Quranta Uno, the Italian fine dining restaurant of Interlaken’s famous Victoria Jungfrau Grand Hotel, Milanese head chef Ricardo is waxing lyrical about his new menu. Well, you won’t hear me complaining when it comes to Italian mothers. 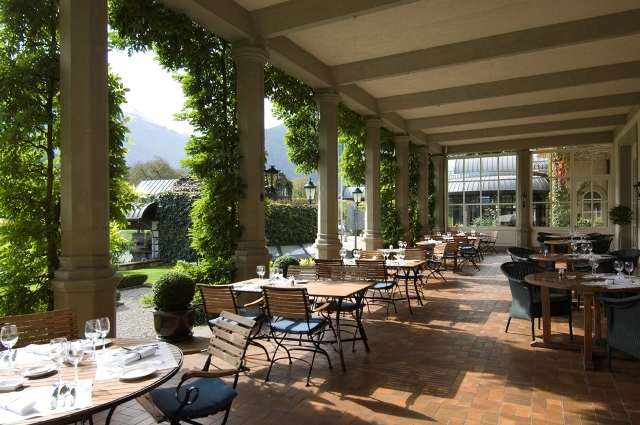 The terrace is at the front of the hotel, the perfect place to gaze out at Interlaken’s Bernese Highlands. The triple peaks of the Eiger, Mönch and Jungfrau massif stands silently over the town as it has done for millennia. I’m looking forward to a much closer visit tomorrow when I’m taking the Jungfrau Railway up to the Jungfraujoch – Top of Europe before returning to my drive around the Grand Tour of Switzerland. But for now, in the warm and welcoming embrace of the Victoria Jungfrau Grand Hotel, fine Italian food is the order of the day. The Victoria Jungfrau Grand Hotel has long been the Dame of Interlaken ever since she opened her doors over 150 years ago as a pension in 1856. 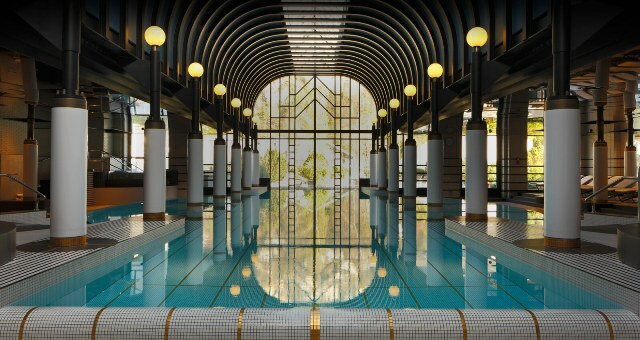 These days she is seen as one of the standard bearers of Swiss five star luxury hospitality, with 224 rooms, two restaurants and a state of the art 5,500 square metre spa. The hotel is a very grand building, rightfully dominating the centre of Interlaken. I remember coming here once on Swiss Independence Day, when a full orchestra was set up on the front terrace, playing their hearts out as hand gliders decked in national flags landed in the park opposite. This is a huge building, with rooms above both wings. Spaciously classic spaces with lush carpets and comfy settees. The bathroom a study in marble and high end toiletries. But the new kid on the block, the spa, with its indoor swimming pool, outdoor brine bath, whirlpools, saunas, and SENSAI SELECT range of therapies is an impressive showpiece in itself. Back in Quranta Uno, after a superb antipasti buffet I devour a Ricardo mother- inspired linguine with basil pesto, fine beans, toasted pine nuts & Pecorino. Of course, washing it down with a decadent vino nobile di Montepulciano makes it all the more memorable. My dining partner is seduced by the legend behind Ricardo’s Saltimbocca Brescia and I am glad to reveal, it lives up to the billing. His mother would be so proud. 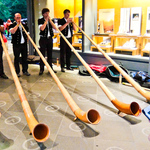 Interlaken is a perfect base to explore the Bernese Oberland and of course the Jungfraujoch. 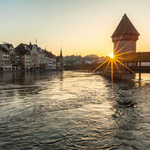 It is an elegant town squeezed, as the name suggests between two lakes, but it has the added bonus of excellent connections for the Jungfrau Railway. 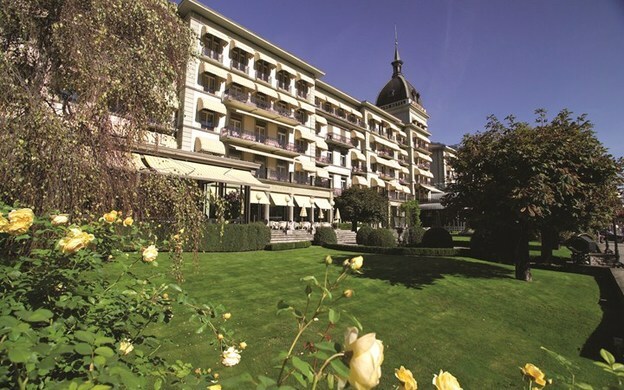 The Victoria Jungfrau Grand Hotel is an ideal example of Swiss luxury hospitality. Well let’s face it, she has had over 150 years to perfect it. Jungfrau Railways travel to the unique natural wonders in the UNESCO World Heritage of the Swiss Alps Jungfrau-Aletsch as well as uniting seven spectacular mountain transport systems under one management.